Fortunately, the OTA link on Google's servers was finally found today by a number of AC forum members, which means you no longer have to wait for Sprint/Google and instead update your Nexus on your own. Since the OTA file contains the full OS image, including recovery and radio, rather than an incremental update from a specific version, you should be able to update no matter what you're currently running on your phone (feel free to point out otherwise in the comments). Download the update file and rename it to update.zip (make sure it's named update.zip and not update.zip.zip if you're using Windows and have it set to hide file extensions). 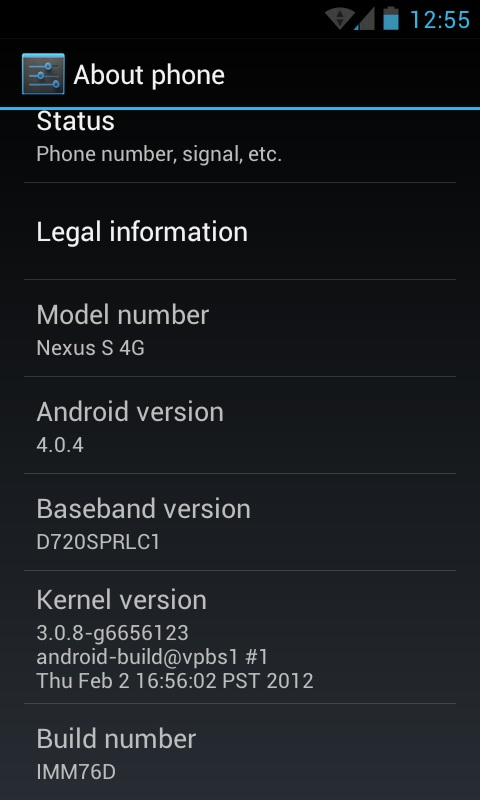 Reboot and enjoy Android 4.0.4.